In a tough global economy, major foreign investors continue to prioritize their investments into Vietnam. Coca-Cola, for example, has said that it plans to invest US$200 million in Vietnam by 2013, adding to its US$280 million investment over the past ten years. German-based Bosch Group announced it will double investment in its auto components plant in the southern province of Dong Nai (from US$73 million to US$132.6 million) by 2015. In addition, Italy-based scooter manufacturer, Piaggio, just opened its second manufacturing plant with a production target of 300,000 scooters per year by 2013 to be sold in the Southeast Asian market. 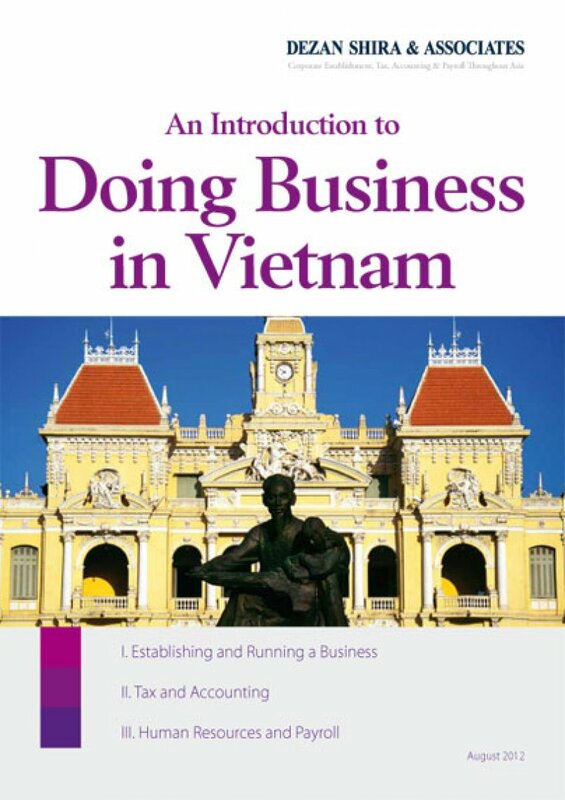 Many SMEs are following in step, acting on the business potential that Vietnam holds for companies of all sizes and a variety of industries. The content of this guide is based on the knowledge of Dezan Shira & Associates, a specialist foreign direct investment practice, providing corporate establishment, business advisory, tax advisory and compliance, accounting, payroll, due diligence and financial review services to multinationals investing in emerging Asia.